Facebook is proving that it cares more about expanding internationally than protecting users’ rights to privacy and expression. A few weeks later, Facebook complied with an order from the Turkish government to remove images of the Prophet Mohammed, the latest in a series of moves from the social network that give into government influence. The decision reflects the lucrative market that Turkey represents for the American tech company. In late December, Facebook acquiesced to the Russian government’s order to block access to a page calling for a protest in support of Alexei Navalny. Navalny is Russian President Vladamir Putin’s most vocal critic and is currently under house arrest in Moscow. It’s also no secret that Zuckerberg has been actively seeking to have Facebook operate in the Chinese market, hosting the Chinese minister of Cyberspace Administration at Facebook’s headquarters, and sucking up to the Chinese President Xi Jinping. If Facebook did receive permission to operate in China, where it is currently blocked, it would certainly have to cooperate with censorship orders from the Chinese government. Facebook argues that it is simply complying with local laws in the countries that it operates and touts reports it releases with aggregated government requests for data and censorship. Turkey’s government threatened to block access to the entire site if Facebook did not cooperate with its censorship orders. Facebook is not a “public square.” It is a corporation, and it will do whatever it can to increase market share. 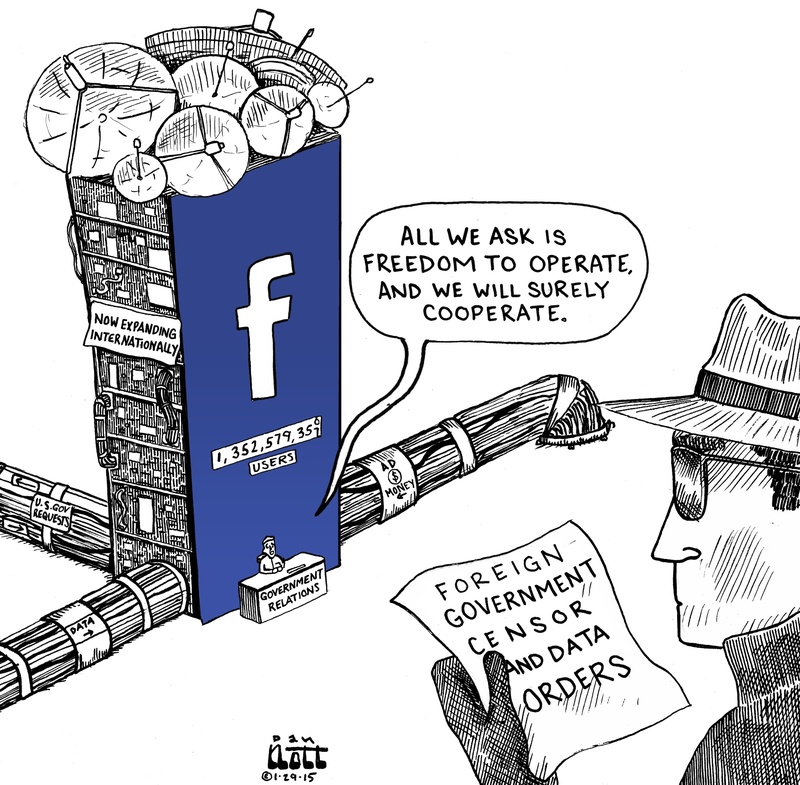 However, if Facebook truly wanted to be the force for freedom of expression it claims to be, it could use its considerable influence and visibility to stand up against and refuse to be complicit in repressive government policies.